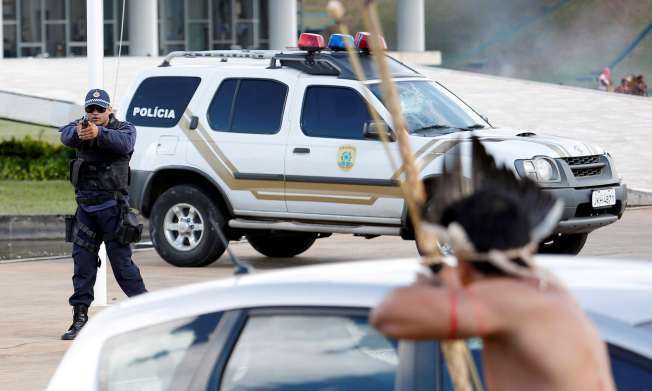 The Brazilian supreme court has ruled in favour of two tribes in a case that is being hailed as a significant victory for indigenous land rights. The unanimous decision – which went against the state of Mato Grosso do Sul – settled a dispute over land traditionally occupied by indigenous people and ordered the authorities to respect the demarcation of land. Amid increasing conflict over land and diminishing rights for indigenous people in the country, the south-western Brazilian state had sought compensation of about 2bn reais (£493m) from the Brazilian government after land was declared as the territory of the Nambikwara and Pareci tribes.